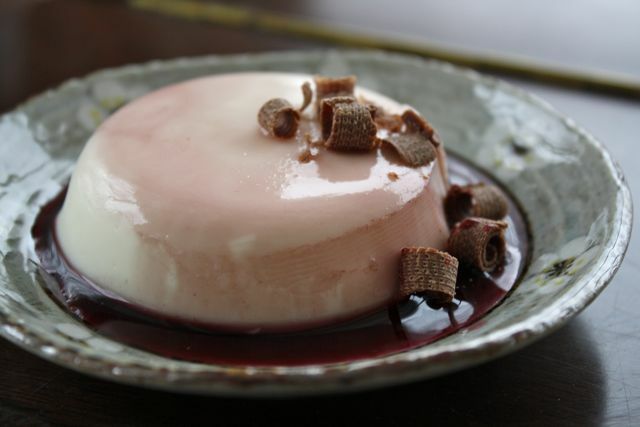 Panna cotta is creamy and wobbly with a light gelatin set. It poses nicely for pictures. 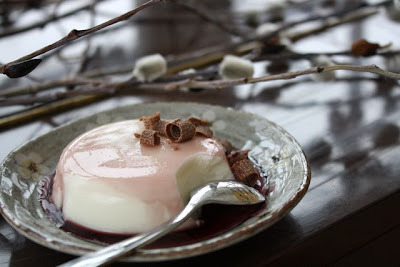 This particular panna cotta is also half buttermilk, so it has a certain brightness that is hard to describe when I'm also calling it creamy. Just trust me. It works with almost every dinner we like to make and I love how I can make it up ahead of time – in 15 minutes – and it's all ready to go. The original recipe calls for it to be served with saucy blueberries. I have tried it with saucy berries, but I think they just smother that delicate, wobbly disk of panna cotta. I like it best with a simple syrup: rhubarb in spring and red wine the rest of the year. Since it is clearly not yet spring here (as I look out my frosted window at snow and a smoking chimney), I'm doing the red wine syrup right now. It is also very simple: simmer any kind of red wine with a bit of sugar and the merest speck of black pepper. It gets thick and syrupy and that's all you have to do for that. Then I like to shave chocolate curls on top. I use a good milk chocolate because it's much easier to curl than dark. Panna cotta: simple, creamy, wonderful. Stir the cream and sugar together in a medium saucepan. Turn the heat to medium and stir every so often until the sugar dissolves, about 7 minutes. In the meantime, pour the cold water into a small bowl. Sprinkle the gelatin over it. Let it stand for 5 minutes. Once the gelatin has stood for 5 minutes and turned into a big gelatin mass, stir it into the warm cream. Use a whisk to make sure it dissolves. Stir in the buttermilk and salt and take it off the heat. Ladle the liquid into the ramekins. Loosely cover them with plastic wrap and carefully set them in the fridge. They should be set in about 2 to 3 hours. To unmold, run a knife around the edges of the ramekins. Place each ramekin in a half-filled bowl of warm to hot tap water for 20 to 25 seconds. (No longer, or they will melt!) Unmold onto individual plates. 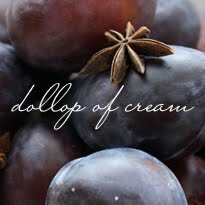 Add a teaspoon or two of red wine syrup and milk chocolate curls to serve. Stir the wine, sugar and a tiny bit of black pepper together in a small pot. (You don't want very much pepper because the flavours will concentrate as they cook down.) 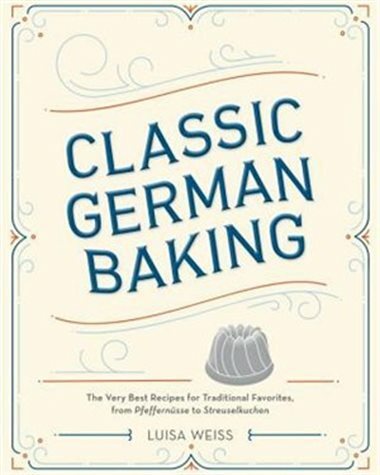 Bring it to a simmer over medium-low heat. Turn the heat down so it maintains a steady simmer. Cook until it has reduced to about 1/4 cup, about 15 to 20 minutes. Remove from the pot to a bowl to cool down. Serve at room temperature. 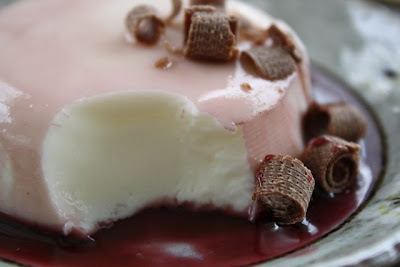 Pour a teaspoon or two beside the panna cotta, and shave a few chocolate curls on top of the panna cotta. mm here is that delicious red wine syrup that I love so much! Thanks for posting it!